In what ways can we apply design skills and thinking to help achieve the objectives set out in our city and regional strategies? 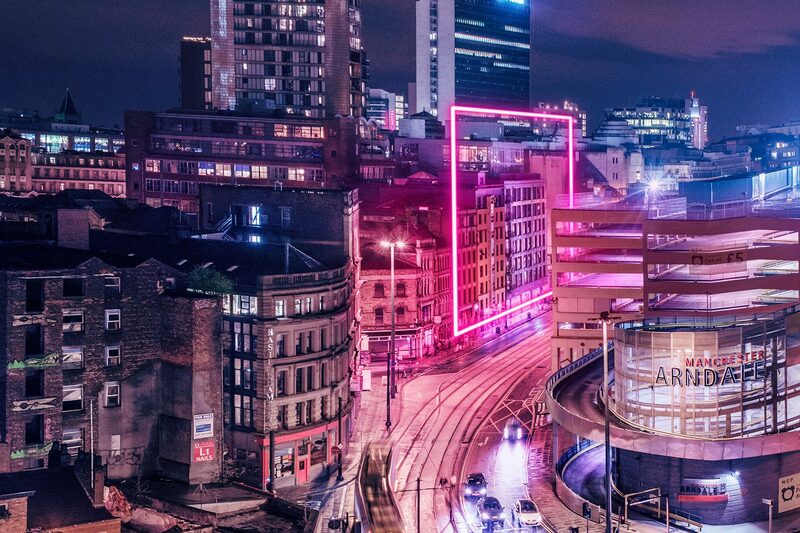 At the request of Manchester City Council Leader Sir Richard Leese, Design Manchester is conducting a scoping study that looks deeper into this question, including the potential for formulating a coordinated approach or ‘design manifesto’ for the city. Design skills focus on our experience of products, services, interactions and environments. It asks how we can do things better and gives shape to the future in areas from the commonplace to the monumental. Manchester already has strategies. The aim of this exercise is not to add another, but to review how design, across all sectors and disciplines, can contribute to what we need and want to achieve. Manchester aims to be an outward-looking city with the skills, infrastructure and connectivity to drive growth, jobs and opportunities in a successful economy. It wants to be a clean, low carbon, safe and equitable city that’s great to live and work in and to visit (Manchester Leaders Forum 2016). Right across the metropolis, Greater Manchester wants to be “one of the best places in the world to grow up, get on and grow old” and to achieve this, is focusing on education and training, jobs, housing, transport, economic growth, health and care, the environment, communities and age-friendly development (Mayor of Greater Manchester, 2017). Like most – if not all – cities, Manchester is also focused on digital technology and is developing a strategy for the region to be “a world-leading digital city” based on an open and innovative approach, aiming to deliver sector growth, digital resilience, improved skills, productivity and public services with better outcomes in health, social care, inclusivity, transport and other areas (Swan and Nokes, 2017). The role of design in all these areas has been a focus of Design Manchester since its inception in 2013. Our annual conference – where top designers from all over the world discuss their work – supports the city’s connected and outward-looking character, projecting home-grown design talent internationally and promoting professional best practice and design education. The Great Debate has tackled design and the Northern Powerhouse (2014), the social and economic value of design (2015), the identity of the city (2016) and the public realm (2017). The Art & Design Saturday Clubs, design and coding clubs for schoolchildren, and workshops on gender diversity, neurodiversity and Age-Friendly Manchester at our festivals are among other initiatives that have addressed strands in the city and regional strategies. At DM17 last October, as part of this scoping study project and in partnership with the Arts and Humanities Research Council’s Creative Economy Programme, we held Design Innovation Symposia that looked in more detail at two sectors. Participants in the Architecture Symposium, organised with Manchester School of Architecture, Manchester Architects and Manchester City Council, also included representatives from the Royal Institute of British Architects, Transport for Greater Manchester, MMU Digital Innovation, architectural firms BDP, HawkinsÄBrown, Simpsonhaugh, PRP and community design practice OH OK LTD. The Symposium looked specifically at the changing nature of public engagement, consultation and co-creation, and the opportunities for developing a common approach to better connect end users – including disadvantaged and disconnected communities – with infrastructure projects and public realm development. The Textiles and Fashion Innovation Symposium, organised in association with Manchester School of Art and Manchester City Council, also had participation from Manchester Fashion Institute, MIRIAD, the National Graphene Institute, University of Salford, English Fine Cottons, Marks & Spencer, Wilton Carpets, Private White V.C. and clothing innovators 7L and AZ. The focus of this Symposium was on automation, design education and advanced materials. Other events exploring relevant topics at DM17 included a series of workshops and presentations on service design organised by Co-op Digital at The Federation, and a Future of Work event at Salford University, where leading creative industry employers discussed the changing nature of work and sustainable employment in the face of automation with an audience of students from around the region. Design is a horizontal function that operates across all sectors of the economy and fields of social policy. Within the scoping study we are however focusing on coordinated input in a limited set of overlapping areas of interest. We look at growth in the digital and creative sector, in which design is a significant component, and also at design as a catalyst in cross-sector innovation across the whole economy. We examine the potential impact of design on inward investment, in the context of Place as a component in the government’s industrial strategy, particularly in the development of a liveable and inclusive city with a rich cultural experience. The significance of design in the startup economy was illustrated by a survey carried out last year by Creative Review on behalf of Allied London, which highlighted the changing nature of work and workspaces, and revealed that more than half of the respondents in coworking spaces identified as being part of the “design industry” (Creative Review, 2017). Access to talent and skills are key to maintaining the growth of design and the digital and creative sector and to secure its beneficial impact on the wider economy. Design education and training – from primary and secondary school right through to apprenticeships, college and university – as well as continuing professional development, are all important areas of focus. The digital reinvention of organisations including the Co-op, the BBC and Auto Trader point to a distinctive strength in designled change management within large organisations in this region. This has drawn interest from government and industry, fuelled the market for world-class talent and played its part in creating a good environment for attracting global brands to locate in Manchester. Significant challenges and opportunities exist in public services. Priority areas include: transportation and mobility, both around the region and across the north of England; health and social care, where Manchester is the only city region with a fully devolved health sector and the opportunity to develop an integrated approach; housing and homelessness, including a growing presence of rough sleepers in city and town centres which Greater Manchester Mayor Andy Burnham has vowed to eradicate by 2020; and sustainability and the environment, with serious air quality issues in some parts of the region. Design skills and design thinking have a major part to play in reinventing how services are delivered, and in developing digital, virtual and physical solutions that are usable, humancentred and effective in delivering savings and beneficial outcomes. The focus of the scoping study is on identifying opportunities for dialogue and collaboration, devising methods for reviewing, prototyping and piloting new approaches, and encouraging more flexible procurement arrangements to support innovation and emerging talent while protecting efficiency of public investment. Greater Manchester has the largest creative and digital cluster in the UK outside London, employing 82,300 people and generating GVA of more than Åí4.1 billion each year, with key assets including MediaCityUK and The Sharp Project. There are 15,000 creative, digital and IT students at the region’s four universities and nearly 1,600 tech startups were established in 2016 (Swan and Nokes, 2017). The sector is expanding fast, driven by incubation and rapid growth of micro and small businesses (New Economy, 2016). According to Nesta’s European Digital City Index, Greater Manchester is in the top 20 of European digital cities (Nesta, 2016). Manchester has a good foundation for developing its digital strategy, but to succeed in a world where every city is a digital city, the story must be about more than pipes, speed and coding, where there are numerous powerful contenders and all of which in terms of employment and opportunity are vulnerable to automation. The strength of Greater Manchester is the distinctive contribution it makes, the creativity, character and values that underpin its success historically and today, including in games development and media. The combination of technology and design is what makes digital human and usable and makes data comprehensible. Design has a central contribution to make in delivering user-friendly, connected solutions that are safe, secure and consistent with empowerment and democratic control. Design of the public realm is if anything an even hotter and more popular topic in Manchester than elsewhere, and one we have addressed in numerous events and programmes. Our approach will include building on the Architecture Innovation Symposium to develop new models for community engagement and co-design, in close collaboration with Manchester Architects. In the last 25 years Manchester’s success has been driven by significant investment in projects that have shaped the image of the city and the wider region, from the Arndale Centre redevelopment to Spinningfields, the Manchester Science Park to The Lowry and MediaCityUK. The plans for Airport City, and those for St. Michael’s described in Document Seventeen by Gary Neville show an undiminished ambition to raise the bar and cater for business and visitors from all over the world. Public art is important in creating landmarks and human, emotional connections with place. There are opportunities in this area for a coordinated approach involving community engagement, collaboration with local and global talent and cultural enrichment in ways that connect people with place while raising the profile of the region. In the coming years there will be additional emphasis on integrated transport solutions, cycling and walking, on housing and communities, and on development in the town centres and high streets in ways that build on the strengths of each district. One of the central tenets in the Design Manchester approach, often reflected in festival events, is to highlight the agency of Manchester’s radical heritage in its present and future – and so it is with “the centrality of design to the Manchester Story”, as Sir Richard Leese described it in Document 16 (Leese, 2017). We can learn from the unfolding of Manchester’s story at the height of the industrial revolution. “Interest in Manchester began,” say Alan Kidd and Terry Wyke in their epic work, Manchester – Making the Modern City, “when the rest of the world realised that what was happening represented a vision of the future” (Kidd and Wyke, 2016). This is exactly the challenge today, presented by city devolution, digitalisation and the threats of an intolerant and fractured world. It is why design should not be a strategy apart, but a plank in the Manchester approach: a vision of the future that is not about what boxes we want to tick but about our people, our place, our Manchester: about how we shape a future, inclusively and distinctively, in ways that will resonate around the world. engaging with partners in innovation including Manchester Digital, Manchester Architects, Manchester International Festival, the Creative Industries Council, Design Council, the Arts & Humanities Research Council, Innovate UK, the Knowledge Transfer Network and the Creative Industries Federation. The design scoping study for Manchester is due to be completed in early Spring to provide a framework for development with stakeholders and partners. This article was first published in Document Seventeen. Creative Review. Creative Workspaces. Report, London: Creative Review with Allied London, 2017. Kidd, Alan, and Terry Wyke. Manchester – Making the Modern City. Liverpool: Liverpool University Press, 2016. Leese, Sir Richard. “Design and me.” Document 16, Design Manchester, February 2017: p10. Manchester Leaders Forum. Our Manchester. Manchester: Manchester City Council, 2016. Mayor of Greater Manchester. Our People Our Place. Report, Manchester: GMCA, 2017. Nesta. European Digital City Index 2016. November 18, 2016. https://digitalcityindex.eu/ (accessed February 1, 2018). New Economy. Deep Dive 04 – Digital and Creative Industries. Report, Manchester: GMCA, 2016. Swan, Phil, and Simon Nokes. Greater Manchester Digital Strategy Update. Presentation, Manchester: GMCA, 2017.